Direct access to a school nurse ensures all students have the opportunity to be healthy and safe which is directly related to his or her ability to learn. 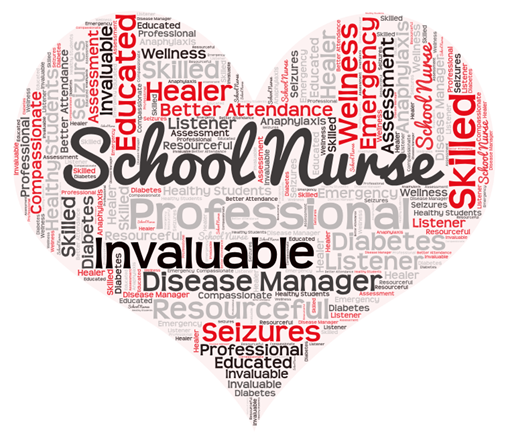 The school nurse provides medically necessary services to improve health and promotes academic achievement by supporting the physical, mental, emotional and social health care needs of all students in the academic setting. Healthy students are successful learners. All students who plan to participate in Brandon Valley athletics and/or marching band during the current school year must have a new physical on or after April 1, using Brandon Valley’s new two-page physical form. Click here to access the form and additional information. Call your school nurse or refer to the South Dakota website for more information. There have been an increasing number of problems with students in K-12 carrying medications (prescription and over-the-counter medications) on school property. Our policy remains that students cannot carry any medication with the exception of emergency medications (i.e. epi-pens, inhalers, diabetic supplies). · A parent or guardian must bring medication to school and complete the proper paperwork. Do not send medications with your child to school. Forms can be found in each school office or can be downloaded using the links above in the forms section. · Unused medications must be picked up by a parent or guardian on the last day of school. Any medication left at school after the last day will be properly disposed. As stated in the Student Handbook: Any student found to have any medication in their possession or sharing of any medication on school property may face serious disciplinary actions which may include expulsion. Please see pages 18-20 in the Student Handbook. Nobody really wants to talk about lice, but any one of us may be faced with treating the condition. Lice respect no one, and no one is immune from them, regardless of how clean your house is. Head lice are a particular problem among children who have close direct contact, and play together, hug, have sleep over’s and share articles of clothing, such as combs, brushes, hats, coats, clothing, pillows, etc. With proper information they CAN be controlled. It is difficult to transmit head lice in the school setting unless the previously mentioned methods are occurring in the classroom. The Brandon Valley School District’s experience with head lice has not shown the classroom to be a common place for transmission since most cases are isolated to just one student in a classroom. We STRONGLY urge all parents to check through their child’s hair regularly as a preventative measure. If you find any evidence or suspect your child may have head lice, contact the school nurse so your child can be checked and monitor the situation at school. The sooner we catch incidences of head lice the easier it is to keep it from spreading so your cooperation is appreciated.